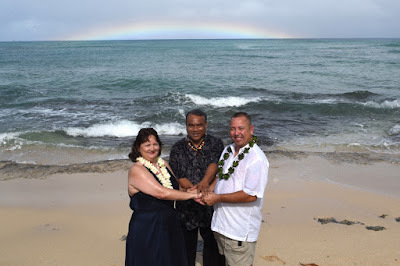 James and Laura waited out a passing rain shower and got a rainbow in the background. By the end of the wedding photo shoot the clouds were gone and we had a beautiful blue sky. 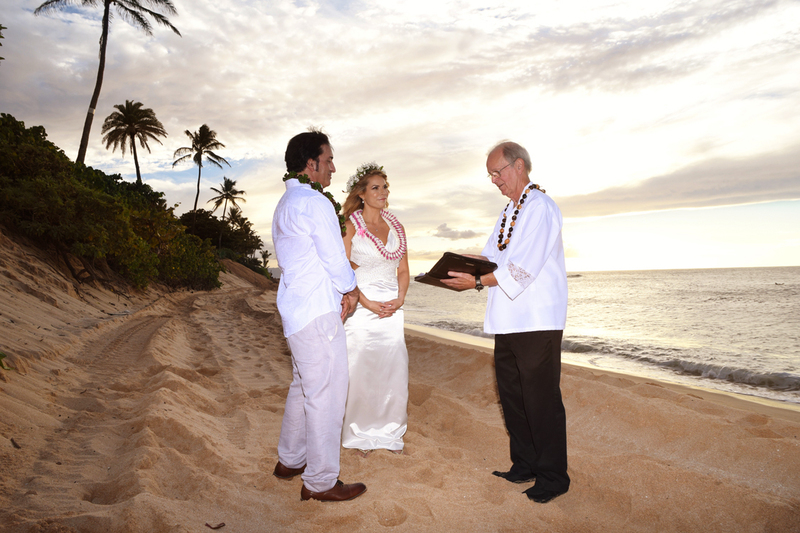 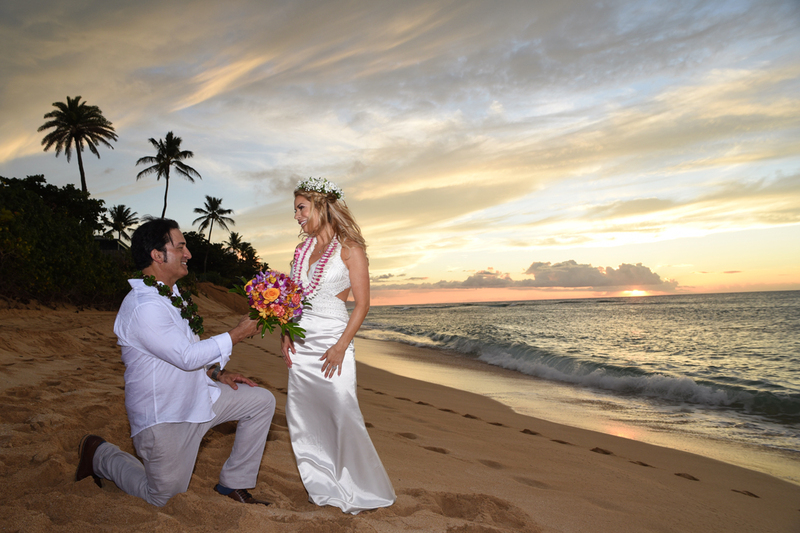 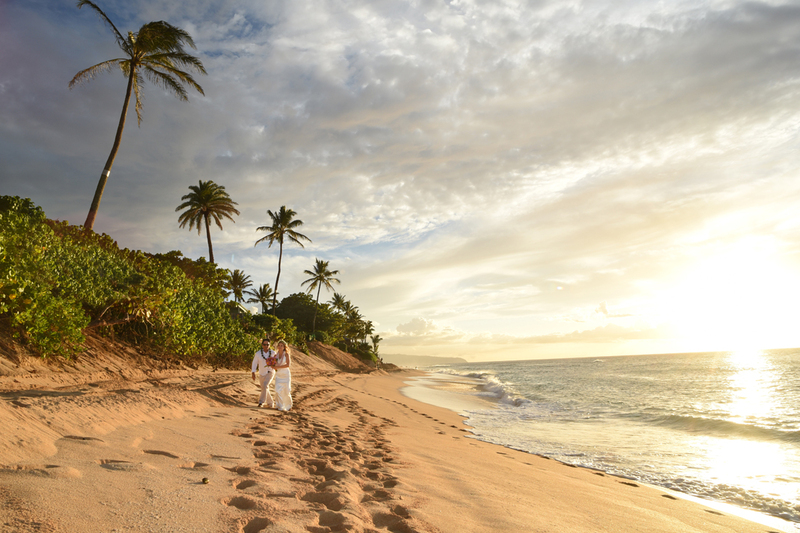 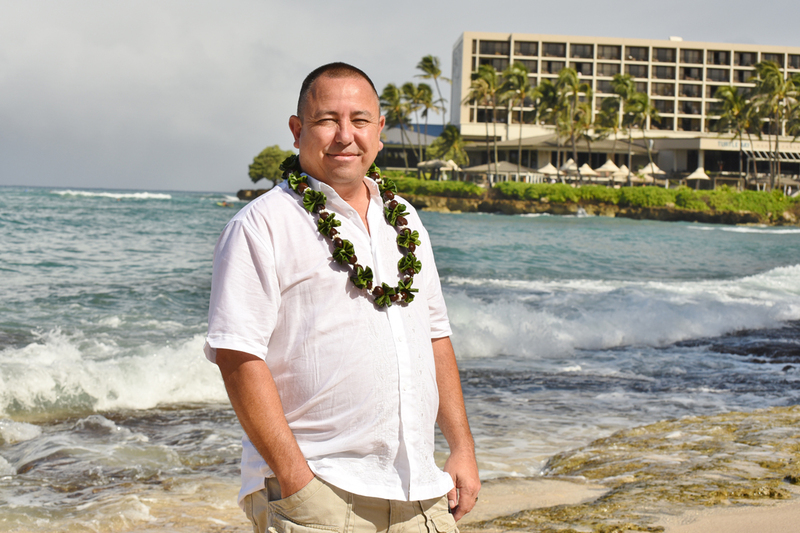 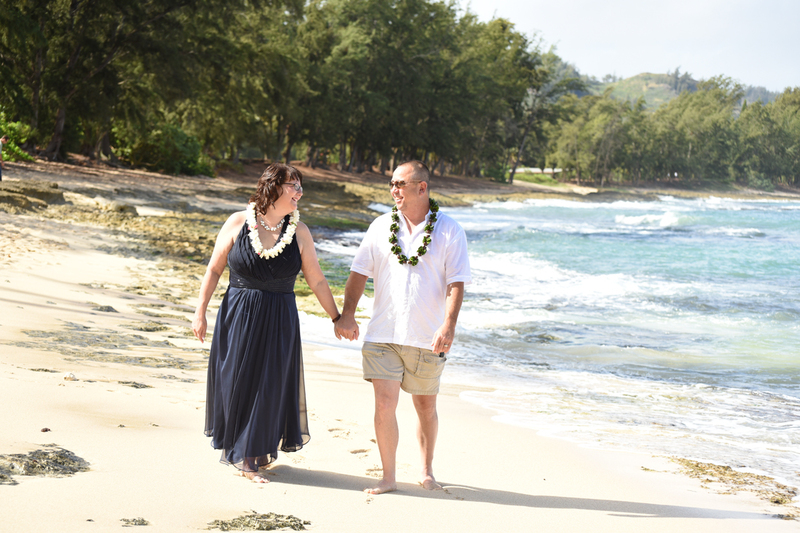 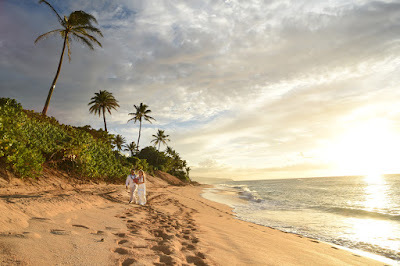 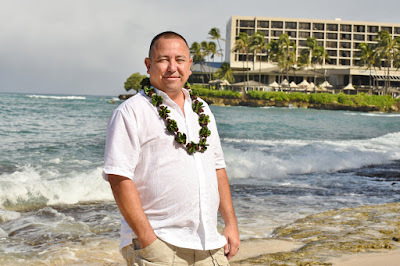 Rev Bob performs wedding for Anthony and Melissa at Sunset Beach, North Shore Oahu. 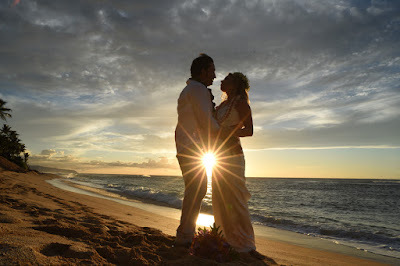 Beautiful sunset rays peak through this silhouette shot of Bride & Groom.